Living in America, you soon learn one of our most revere mantras” – PROTEIN. Considered to be the most fundamental and sacred of all nutrients, the Dutch chemist Gerhard Mulder (1839) upon discovering these nitrogen-containing substances used the Greek word proteios (“the first quality”) to name them proteins. Cultural bias powerfully influenced the “science” of nutrition from the onset. A German scientist, Carl Voit (1831-1908) in spite of having discovered that humans needed only 48.5 grams of protein per day proclaimed that good health required 118 grams per day. One of his protégés, W.O. Atwater (1844-1907) organized the first nutritional research laboratory at the USDA and defined the caloric equivalence of proteins (4 cal/gm), carbohydrates (4 cal/gm) and fats (8.9 cal/gm). As director of the USDA, he recommended 125 grams of protein per day. The burgeoning “science” of nutrition, so deeply rooted in cultural elitism, considered it factual that the lower classes were lazy and less intelligent and that these “deficient qualities” were due to a lack of protein in their diet. If you were rich, you ate meat and if you were poor, you ate plants. Meat and dairy products were/are thought to be synonymous with protein. This is a myth! For example, the percentage of calories from protein in asparagus is 32%; broccoli, 36%; kale 40%; lean beef, 32%; pork chops 23%. Proteins are chains of amino acids and there are hundreds of thousands of different kinds of proteins, including enzymes, hormones, structural tissues, and transport molecules. Only eight amino acids are considered “essential” that is we must obtain them through diet. All other proteins can be synthesized from those eight. The question arises, “How much protein do we need”? In order to answer that without bias, let’s first enquire of Mother Nature. The most rapid growth spurt in the life of a mammal occurs just after birth. In order that these infants’ bodies can double and triple, nature provides each species with a unique formula, called milk. Rats have 49% protein in their milk, cats 40%, cows 15% and we humans, the lowest at 5%! The World Health Organization, the Food and Nutrition Board of the National Academy of Sciences, and the National Research Council say that at the very maximum we need only 8% of our calories to be protein. Considering that after weaning, we need at most 8% of our calories to be protein, it is clear that plants can easily satisfy those requirements for humans. What happens to excess protein? Unlike carbohydrates, protein can not be stored and so what the kidneys fail to eliminate is picked up by the lymphatic system. 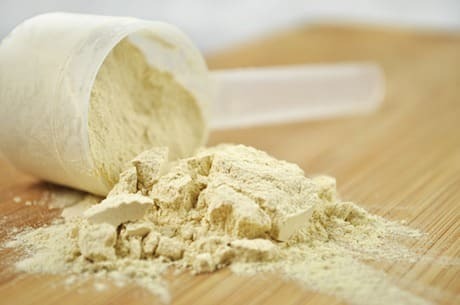 Excess protein results in osteoporosis, cancer, and kidney disease. This is only true for protein of animal origin. Plant protein does not have these dire consequences for humans. The animal fat associated with animal protein such as that found in meat, milk and eggs compounds the deleterious effects of animal protein resulting in heart disease and cerebral vascular disease. The volumes of peer reviewed articles in highly respected scientific journals which attest to these statements are overwhelming. “Less is more”!